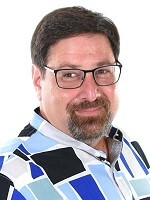 Join us at the Beginning Investors Group (BIG) on Monday, January 21st at 6:30PM at the Hudson Grille in Sandy Springs located at 6317 Roswell Rd in Sandy Springs where Scott “The Flipping House Rabbi” Sekulow will be teaching us all about the “Nuts and Bolts of Flipping Houses”. Have you been watching the real estate flipping TV shows and want to get into the business, but don’t know where to start? Then this is a BIG Meeting you don’t want to miss! Scott will teach you the in’s and out’s of flipping houses and the different areas where you can start – from finding houses, wholesaling or buying your first rehab. There are many ways you can get involved in the investment business and make money. However, if you are not careful, you can make costly mistakes that can harm you in terms of time and money. Scott is going to share with you how to steer clear of some of the most common and costly mistakes new people make. Come and learn how Scott has bought and sold over 70 houses in that last 2 ½ years most with little or no money down. Do I need money to start? What came first the seller or the buyer? How do I know what a house is worth? How to price a deal to sell fast. You can flip houses and be your own boss or work with a successful team. Learn where you fit in and make a great, new start in 2019! Come Join us at BIG to learn more! RSVP Now! Scott says “What can the Flipping House Rabbi teach you? Yes, I am a Messianic Rabbi and that is my first and most important calling, but I have also been in business all my life. In fact, at age 12, I was audited by the IRS. After high school, I passed the real estate exam while going to Mercer University for my Business degree. So from selling pretzels at a flea market, to owning several retail businesses, to now owning a HomeVestors Franchise buying and selling over 70 houses in just 2 ½ years, I can teach you… a lot. Come and learn what I did to get started and how you can too!” RSVP Now!